The Play Music app on Android TV has remained mostly unchanged since the platform launched three years ago. 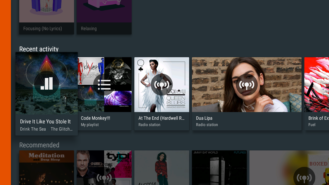 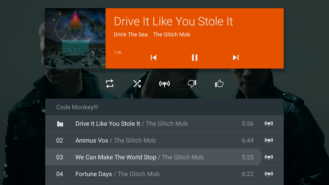 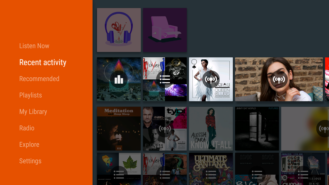 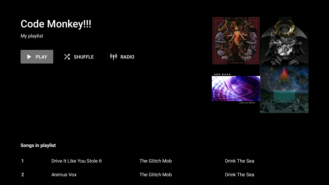 If you've grown tired of the wall of orange and all of the completely original Material Design components that were used when Android TV first launched, you'll be happy to see that Play Music is now sporting a new look. 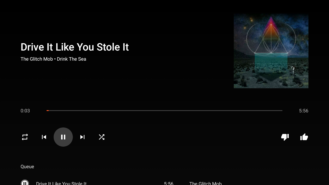 A new Android TV-specific variant of the Play Music app is rolling out through the Play Store with a completely redesigned look. The changes are immediately obvious as the nav drawer turns bright white and the background goes from a blue-gray to a deep black, and Play Music's signature orange color has been relegated to a few accents scattered around the screen. Once the nav drawer is out of the way, most elements on the screen look about the same, but with a few pallete swaps and sizing tweaks. 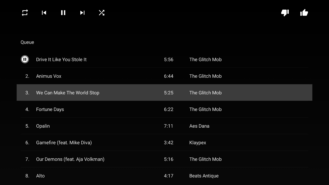 Rows that used to be in the nav drawer have been turned into separate screens that can be accessed from My Library. It generally requires a couple more clicks of the remote, but it actually feels a little more fluid this way. The player screen has also undergone a redesign, but again, it's mostly cosmetic. 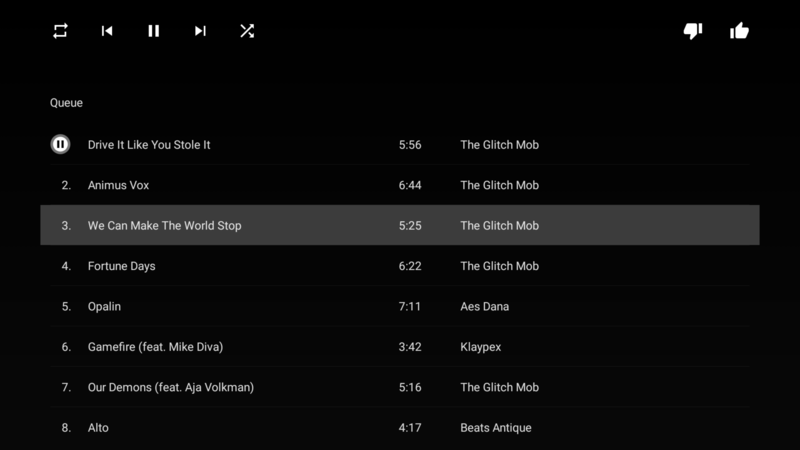 All of the buttons now reside on a single row, with the actual player controls aligned to the left and the thumbs up/down buttons on the right. Moving down into the playlist produces a cleaner-looking interface with the song title and artist name separated in a structured layout that's a bit easier to read. 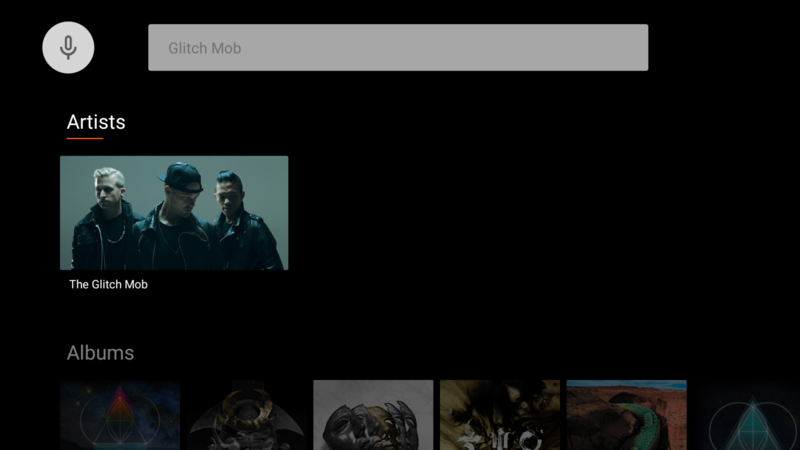 Functionally, very little has changed in this update. 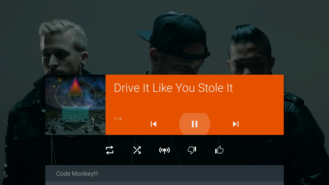 Some features like "Start Radio" are less prominent than they used to be, but they can still be found in the home screen and a few other spots like playlist views. 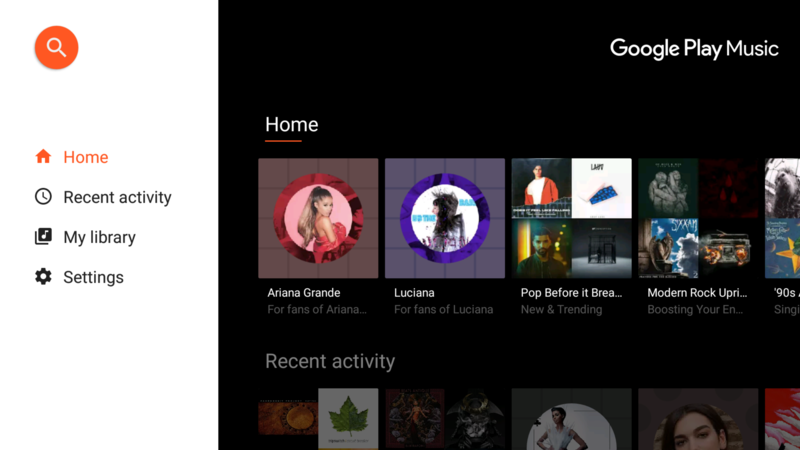 This update appears to be focused on streamlining the interface so it'll be a little more pleasant to use and more closely resembles the structure of the web interface. 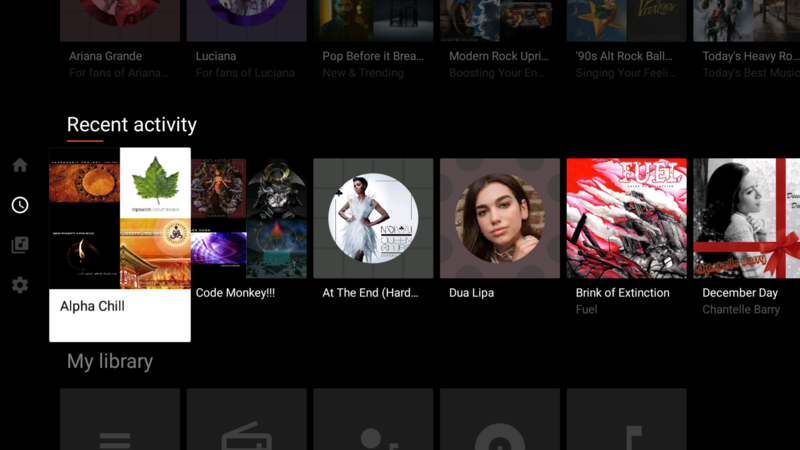 Of course, now that we've seen this new look on Android TV with version 8.1, I have a feeling the regular Play Music app (currently at v7.12) is likely to get a similar treatment very soon.